Hotel description: The Tulip Inn Bucharest City is ideally located in the centre of the financial and commercial area, within walking distance of Unirea Shopping Center, Bucharest Mall and not far from the Parliament Palace - one of the largest buildings in the world. Hotel description: Located at 200m from North Railway Station, the main railway station of Bucharest, and 10 minutes far from the City Center, Elizeu Hotel was opened in August 2003. Hotel description: Perfectly located in the center of the business and cultural area of Bucharest, having nearby many key sights, the Opera Hotel welcomes you in a warm and cozy atmosphere. Hotel description: Hotel Central Location: Right in the center of Bucharest, near the City Hall and the Cismigiu central park, within a walking distance from the banking district. Hotel description: Caro Parc Bucharest - it can offer comfortable accommodation at a high standard for our guests in its 8 air conditioned single / double rooms or its 8 duplex rooms. They have balconies facing the garden. Hotel description: Duke Hotel is situated in downtown Bucharest (in Piata Romana), very close to the shopping and entertainment area of the city, only 20 minutes away from the Otopeni International Airport. Hotel description: Best Western Parc Hotel Bucharest offers an relaxing atmosphere, providing best facilities for your business meetings. Newly refurbished in summer 2001, the Best Western Parc Hotel meets latest international standards. 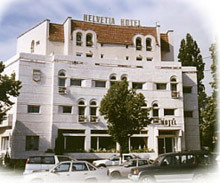 Hotel description:Located at the prestigious business center of Bucharest at Charles de Gaulle square, near the Herastrau Park and Romexpo. Hotel description: Piccolo Mondo hotel is situated in the heart of a residential area of Bucharest, only 5 minutes away from Victoria Square, 5 minutes away from ROMEXPO, 10 minutes from the city center and 20 minutes from Otopeni Airport. 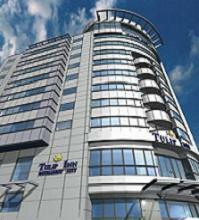 Hotel description: Confort Traian Bucharest Hotel is located downtown, 5 minutes away from Unirii Square. 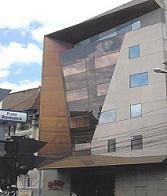 The hotel has 90 rooms (single, double, one apartment), 1 international restaurant, day bar. Hotel description: Confort Hotel is situated close to the Bucharest International Airport "Henri Coanda ( Otopeni), on the road DN 1 (E60). Hotel description: Ibis Hotel in Bucharest , one of the newest in town, is located 500 m from the central railway station ( Gara de Nord ). Hotel description: Ibis Palatul Parlamentului Hotel Location: Ibis Hotel Izvor is a 3 stars hotel and it is close with Piata Unirii. 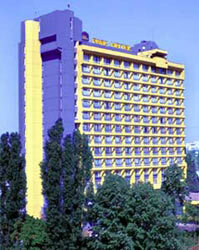 Opened at June 1st, Ibis Parliament Hotel is next to the Parliament's House Bucharest. Hotel description: Euro Hotels in Bucharest is located in the vicinity of Gara De Nord - the main rail station in the city, close to the city center ( five minutes by car ). Hotel description: Euro Hotels and Suites brings everything you desire through its position in the middle of the cultural, financial/ banking and commercial center of Bucharest. Hotel description: Euro Hotels in Bucharest is located in the vicinity of the Triumph Arch - 10 minutes by car from the city centre. Hotel description: The Johann Strauss Hotel Complex invites you to spend your sper time in a beautiful natural atmosphere, in the north area - quiet - of the capital. Hotel description: Golde Tulip Sky Gate Hotel is a brand new 3-star hotel offering comfortable but affordable accommodations for the business and leisure traveler to Romania. Hotel description: Located in the heart of Bucharest, we promise to show our best effort for you to enjoy the new dynamism of Bucharest, in Tempo's stylish and younf-looking ambiance. Hotel description: Being only 20 minutes away from the airport, 10 minutes away from the center of town and 5 minutes away from the RomExpo Exhibition Center, the hotel is ideally positioned for both business and leisure guests. 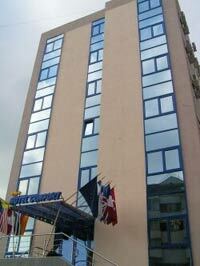 Hotel description: The Green Forum Business Hotel is located at 19, Pictor Iscovescu St., 1st city sector, the corner with Amiral Balescu St., opposite the Romanian Television and Alpha Bank. Hotel description: Capitol Hotel is placed in one of the most busy and populated area of Bucharest.The 5 level building was raised up in 1901, and in the past time is sheltered a hotel and famous cafe, the favorite meeting place for writers, musicians and artists. 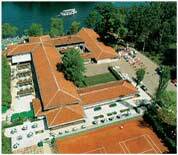 Hotel description: The Herastrau Complex (1,500 places), lying in the Herastrau Park, on the lake shore, in a dream-like natural scenery, offerrs unforgettable moments around the clock. © 2001 - 2005 Delta Travel Services srl, Bucharest Romania. All rights reserved.